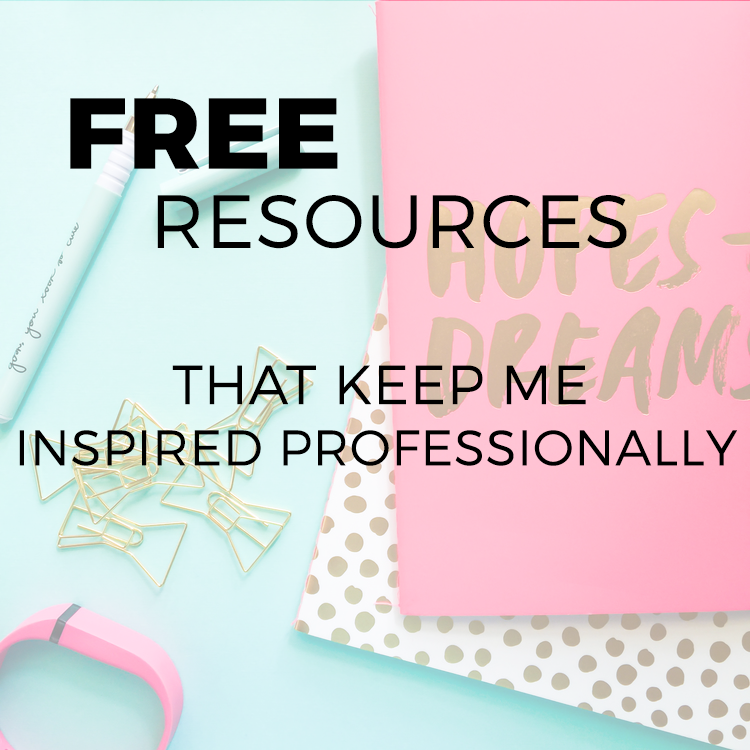 FREE resources that keep me inspired professionally! Motivational resources.....for FREE? Check these out! The She Did It Her Way Podcast: I was really excited when I found out about this podcast a while ago. Every Monday you can expect a new interview featuring a woman who is currently killing it in the entrepreneurial realm. I’ve always been super inspired by entrepreneurs and I think that they're some of the bravest people out there! Listening to these women speak on their journeys and what they had to go through to get where they are now... definitely gives me that boost of confidence to keep going! Levo: Levo is an entire online network created for professionals to find any resources they may need on their path to success. It has actually been my #1 go to for career advice for a little over a year now! The site features articles that could fit the needs of any career woman or man, whether it be interview tips or how to properly ask for a raise. Besides reading articles, you can also connect with mentors, watch videos and even view job postings. It’s a one stop shop! Conferences/Workshops/Networking Events: Though there are quite a few conferences out there that require you to pay a pretty large fee to attend…there are a lot of free opportunities as well! A lot of organizations put on free panels and workshops, just take advantage! They're one of the best resources to meet and learn from people that were once just as confused as you are about the future. I personally love panel discussions…so much free knowledge at once! It can be so easy to become wrapped up in social media with outlets like Instagram, that we begin to compare our lives to others. What I love most about these resources is that it involves real people sharing real life experiences....#NOFILTER. We all have different journeys and few will be easy, therefore I believe that it’s extremely important to share what we've learned with other people. I hope that you’ll find motivation in one or all of these resources and begin to feel even more optimistic in your professional career! Thanks for sharing these podcasts. You rock Paige!